Every baseball player remember’s the first year they went from “one size fits all” to profit hats. 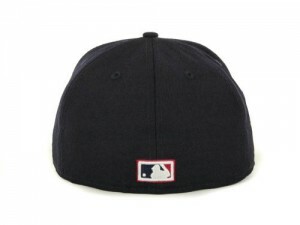 Getting a hat that is customized to fit your head makes you feel like a big leaguer!!! Its too bad that most players only ever get the “one size fits all” type of advice on how to throw the ball rather than getting “profit” mechanics customized to fit them just like their hat does. 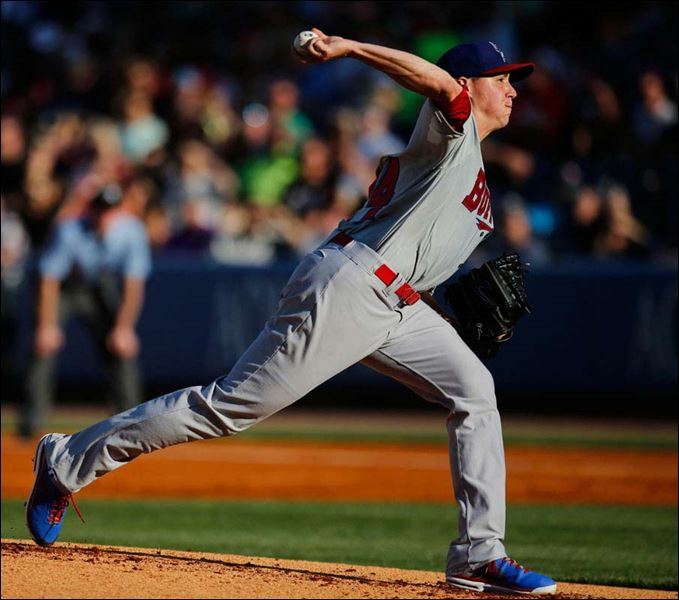 Would you tell a short pitcher to throw the same way as you would a tall pitcher? What about other attributes that make up a players physical profile like body weight, muscular strength, elasticity, limb length, the list goes on. Even if your “one size fits all” approach to pitching is scientifically based each pitcher might be missing out on some MPH’s based on their unique strengths and weakness’that makes up their profile. Getting customized throwing and training advice based on an athlete’s physical profile would stack the odds in favor of producing more high velocity throwers. Sure the “one size fits all” works for some athletes but in doing so we are relying too much on luck. 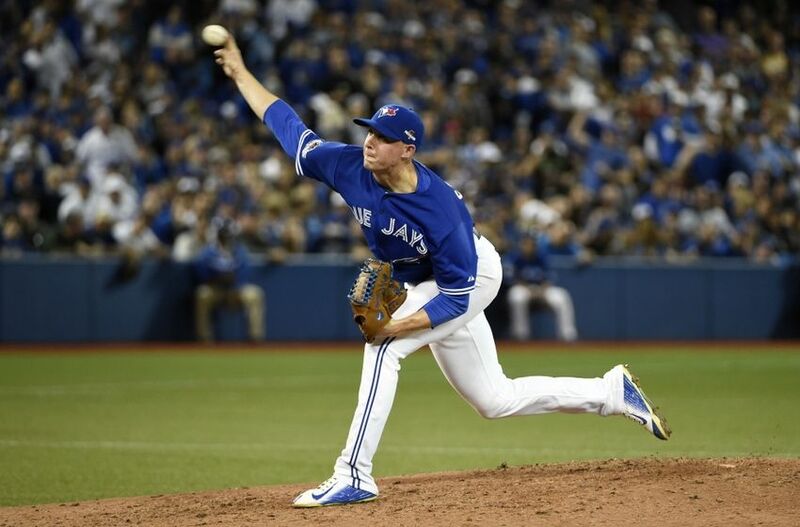 To illustrate my point throughout this article and next one or two in this series I am going to use Aaron Sanchez (6’4″ & 200lbs) and Marcus Stroman (5’8″ & 180lbs) as examples. These two are clearly different from one another physically yet they both produce a pretty good end result in regards to MPH’s and overall nasty stuff. I picked these two because living in Canada I got to watch and study them the more than anyone else. Not to mention the fact that I have already used these two as examples of what I might look for in selecting players to draft, read that here, and I already had a cheat sheet about Stroman’s mechanics that Kyle Boddy put up on the Hardball Times, check it out here. I like to think of pitchers as the race cars that you get to select when you play a video game. Sure they share many common characteristics like each having 4 wheels, a big engine, a steering wheel and great tires along with the fact that they all go really fast. 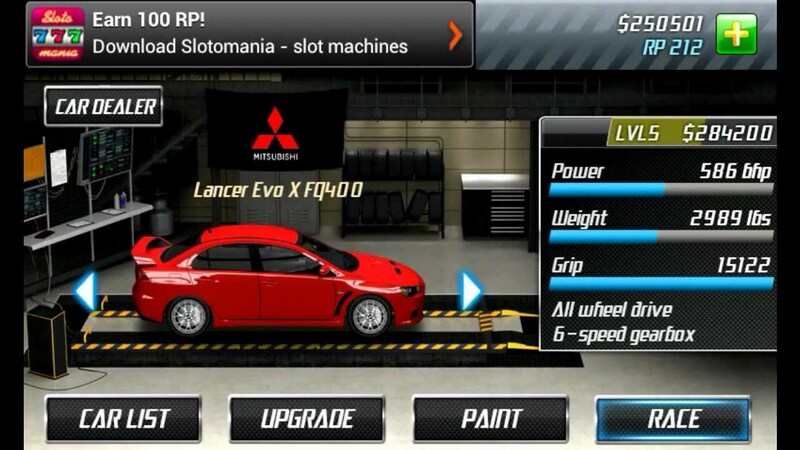 But when you select a car you look at its profile to tell you how this car produces its velocity and how it might differ from other cars so that you know how to take advantage of its strengths and weakness when you race. 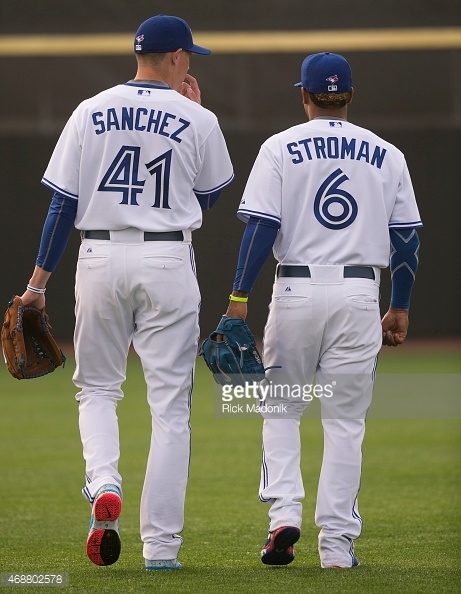 Below are some profiles that I put together for Sanchez and Stroman. These profile are by no means exactly accurate since I have never assessed either of these athletes but they are generalization from what I have seen when they pitch. The goal is only to help illustrate a point. 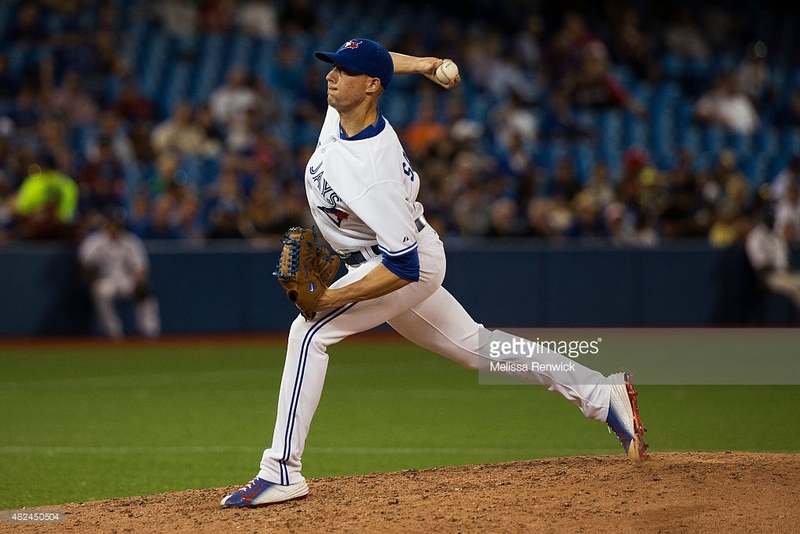 Here is what Aaron Sanchez’s profile might look like. Sanchez obviously has some long levers and judging by some of the positions that he can get himself into has some good mobility too, great combination!!! The rest of the values again are just arbitrary but they are just there as an example that we can use to compare against Stroman’s profile, which can be seen below. 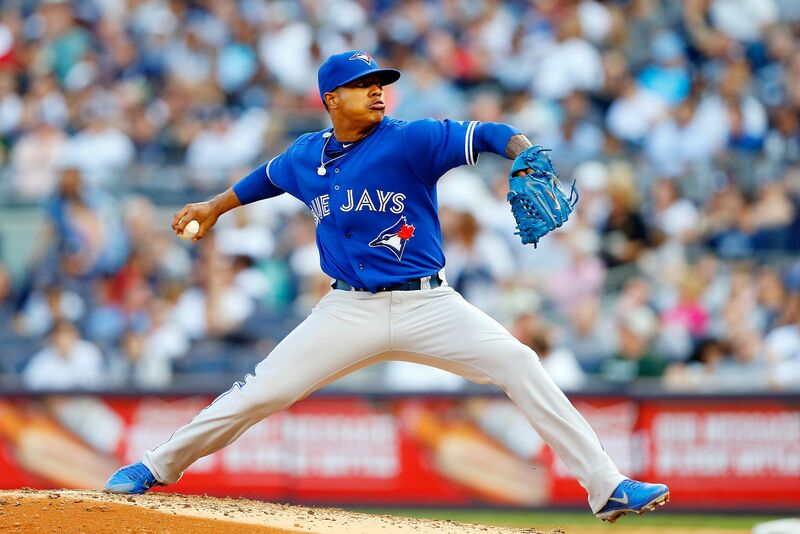 Stroman obliviously isn’t tall or long like Sanchez but he does have great levels of muscular strength and power which enables him to make up for his lack of size in order to produce similar results to Sanchez on the radar gun. Don’t worry too much about what each column represents, we will go over that in part 2. For now let’s look and compare these two pitcher and their mechanics. In sticking with my race car analogy I am going to refer to different stages of the delivery as different gears that any driver must go through in order to reach 100 mph. Having a car a with a big engine doesn’t do you any good unless you know how to drive it properly. If you can’t shift gears the right way and on time you may never reach your top speed and if you do its probably going to take to long and by then the race is over. Here is how I am going to classify the gears as they relate to pitching for this article. Its the one I know the most about. If you mess up here there is no way that you can reach your fifth gear in time with enough energy. In my opinion a bad 1st gear makes you try to compensate to produce the kind of velocity that you want which increases your odds of injury. To tell if a stride is leg-dominant or glute/hip dominant you need to look at the angle of the shin. These pictures below show the difference between loading up the hips (on the left) with a more vertical shin compared to using a more angled shin which recruits more of the leg muscles (i.e quadriceps) to execute the deadlift and squat movements. Check out the picture and video clip below from the center field camera to give use a better idea of what kind of shin angle Stroman uses. 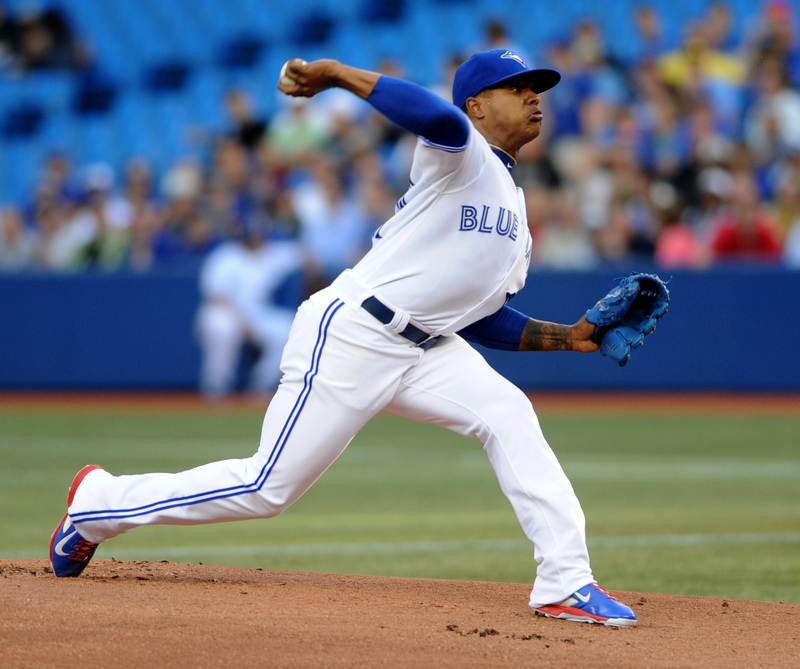 Stroman has the ability to sit back a lot which really lets him load up his hips more than most people because he has the strength and coordination not to fall over. Sanchez and his crazy long legs might not be able to do this as efficiently. 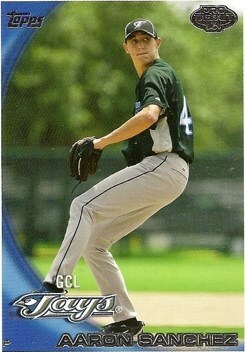 This is a really young Aaron Sanchez in his Gulf Coast days but you can see that his shin is angled thus making his loading more leg dominant than Stroman’s. Its not to say that Sanchez doesn’t use any glutes/hips to generate power its just that he uses his quads more that Stroman does. Above is a more up to date video of Sanchez throwing. You can even see that when he comes set he has preset that shin angle to be more quad dominant. The main difference that we are going to see again between these two is the angle of their shin. This time I am looking at the left shin and the angle that it makes when the foot hits the ground. 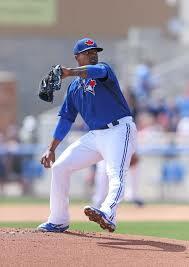 Below you will see Sanchez with a more vertical shin compared to Stroman above. However if you were to draw a straight line from their left foot to their left hip the difference wouldn’t be as drastic as the difference in their shin angle. Sanchez just has more knee bend. Here they are from the first base side where again you can see an obvious difference in their angle of attack with their lead foot just an inch or two off the ground. When you look back at their video’s you can see that despite the fact that their land in different positions they both have strong front legs that enable them to transfer (i.e shift gears) energy up the chain towards the upper body. Here is a video of Sanchez demonstrating a good strong front leg. 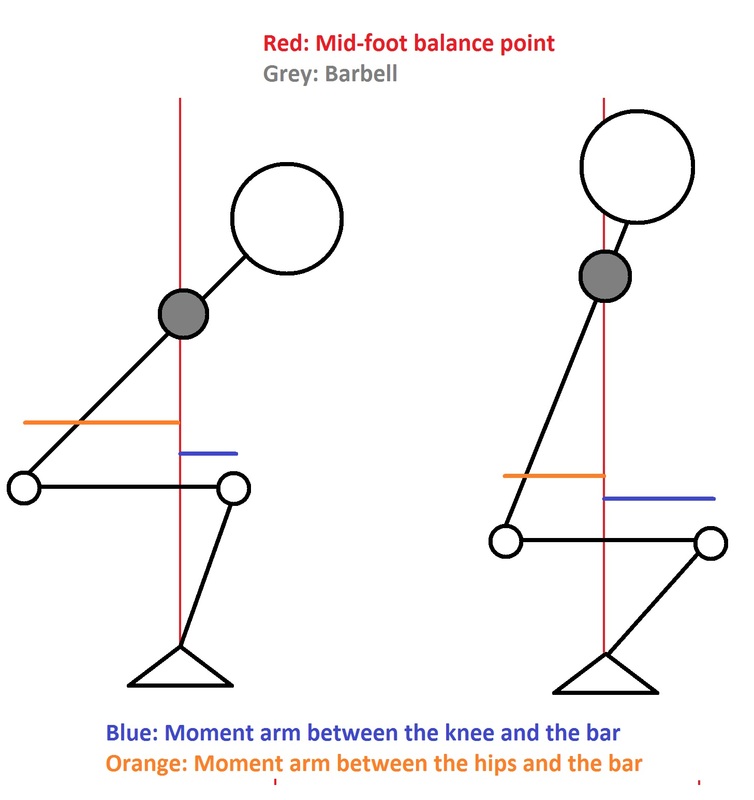 Here is a link to a recent article I wrote about the importance of a strong front leg. I just call this “back hip rotation: since it initiates all of the rotational power. Its a period of time that happens between front foot contact (2nd gear) and max ER (4th gear). This is when max hip and shoulder separation occurs, the amount of which will depend on each player’s mobility. These pictures aren’t at the exact same point in the delivery but they both show us how they get a stretch across the the right pectorals which are strong internal rotators of the shoulder. Their hips have squared up to the target prior to their shoulders giving them power from the separation. This point of the delivery has been shown to be another key vital position and the more ER you can get the better. Until you get hurt that is. It is nearly impossible to draw a comparison to the exact amount of external rotation that they both get without getting them inside a well equipped exercise science lab so I am going to show them both from the 3rd and 1st base sides. Boddy made the comment how Stroman debunks the notion that you have to be squared up to the target as you finish. You can see from the picture below that his left shoulder is well behind his right shoulder. 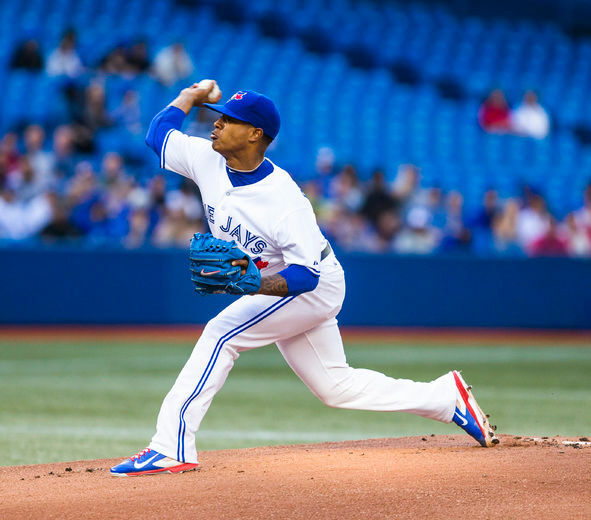 Maybe this is strategy that Stroman has adopted to make up for the fact that his arms aren’t as long as most pitchers at his level of competition. 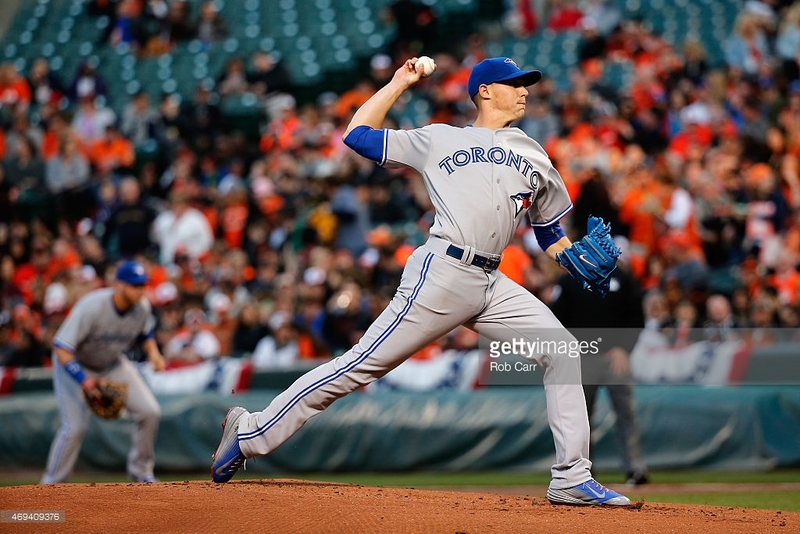 The shin angle is still different between the two pitchers as are a couple of other things. Notice some similarities like the back foot either off or coming off the ground and the ball released out in front of their front foot as a result of their trunk being angled. I look forward to part 2 where I can start to dig into the physical profiles and how they might be used to build better mechanics. Hit the Brakes to Throw Hard!! !